Millennia ago as our ancestors stacked one rock upon another to construct the first shelter in the first cluster of shelters in what would become the first town of the first civilization, one of the brightest in the group (let's call him Cousin Og) realized that rocks were pretty heavy and that there was a limit to the size rock that he could lift. (Coincidentally, this was also the first time that Mrs. Og gave that look of disapproval because the neighbor's house was built of bigger, shinier rocks--but I digress). This now henpecked and Paleolithic cousin discovered that when he wedged a stick under one side of the large rock and pressed down, he could then move that which he was incapable of with his directly applied strength. He thus discovered leverage (launching the first Hedge Fund, I imagine). Futurisms and Techno-philosophy fail most when they fail to consider advancements within this context. Every device we build and every machine or process we design is a leverage upon what we already possess. Computers work because they run programs that we create. We work them over and over again--often thousands of times--until that set of instructions works well. Then we let that machine do it again for us efficiently. The computer and software that I am using right now is simply the leveraged millions of man-hours brought to efficiency to build my terminal, write the software, and link the whole mess together. Specialization is a form of leverage. In the GPS world, specialization allows Garmin and Galileo to get very very good at mapping places and finding people (and saving a lot of trees and frustration in the process). This allows me to be very very good at......well, I'll think of something later; but you get my point. As memory chips advance and becomes cheaper, we are simply finding new and unique ways to leverage our own memories and resources--to "remember" and access more; and to get more memory from whatever resources we already have, both physical and mental. Ken Burnes (the film documentarian) has made a career out of reading the letters and journals of Civil War era citizens into a microphone to record and display what, for those citizens, was memory. Digital memory is simply a more efficient version--it is leverage against what is for us a natural instinct--taking notes to communicate and remember. Will we design a machine that thinks better than we do? The question is moot because such a machine would only be a leverage of the billions of combined man-hours and trillions of dollars in resources that are put into it. It will be an efficiency--a leverage of what we already do and have already created. It will be an expression....of us. And Cousin Og would be proud. 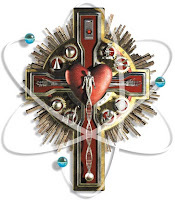 * The Cross image above originally appeared as the cover illustration for the DEcember 2002 issue of WIRED Magazine.